I couldn’t be more excited to share that Jessica Lorren and I will be hosting another SEE Sessions, this time in West Palm beach. We’ll be sharing our experience and perspective on: finding your voice as an artist, discovering inspiration, building & creating opportunities, visual storytelling and composition. The second part of the day will be led by calligrapher, Rachel of Honey Honey Calligraphy, teaching basic calligraphy techniques. Day two will include hands-on styling practice, where you’ll have the opportunity to implement new techniques and receive practical tips and feedback. Jessica Lorren will photograph the attendees and their work for their portfolios. Attendees will hear tips on how to enhance social media and web exposure from Drea of the well-known and loved, ohdeardrea blog. Then we’ll conclude with a Q&A at the end of SEE sessions to ensure that each attendee walks away with a renewed sense of inspiration and direction! I’m loving the colors we’ve chosen for the next SEE Sessions. 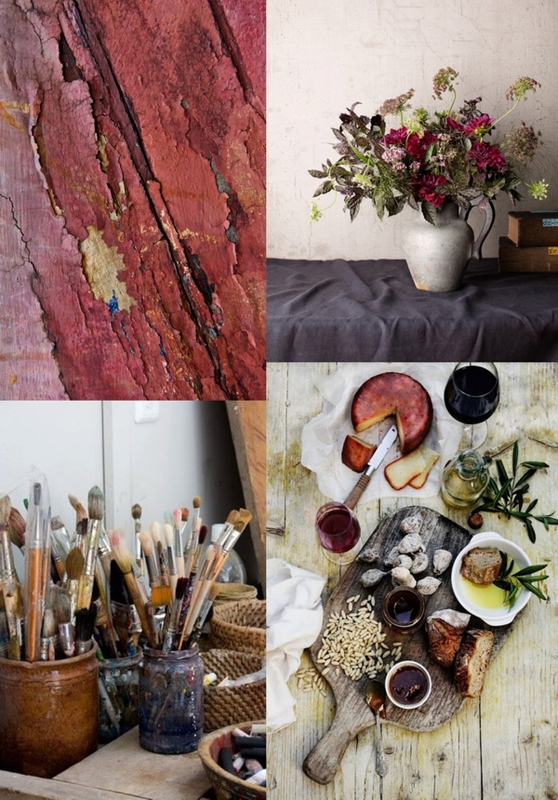 This is my inspiration, drawn from the rich color of wine and texture of drying paint.